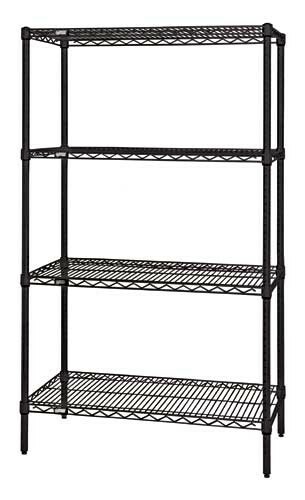 Heavy-duty Wire Shelves Black Shelving Starter Kits allow up to 800 lb. capacity per shelf. 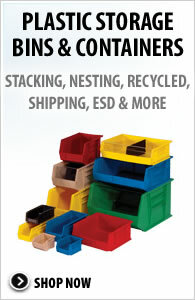 Starter Kits come complete with 4 posts and 4 Wire shelves. Wire Shelves are all welded construction with additional Wire trussing for high strength characteristics. Wire allows air to circulate and light to penetrate for increased product visibility and minimal dirt accumulation. Split conical sleeve adaptors secure shelf corner to post. Numbered grooved posts on 1 inch increments for quick assembly. No tools required for assembly. 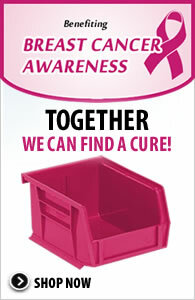 Additional shelves are available and sold separately. 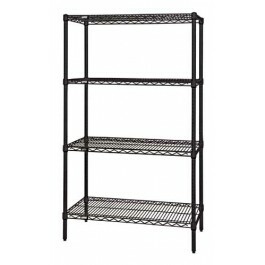 Includes 4-63" Posts and 4 Wire Shelves.